Embed from Getty ImagesAryna Sabalenka gave her fans a taste of things to come with a title in Shenzhen in the first tournament of 2019, as she survived tricky Alison Riske, 4-6, 7-5(2), 6-3. Sabalenka started the day with a semifinal win over China’s Yafan Wang, 6-2, 6-1 before turning around and handling Riske, a 2017 and 2018 finalist at the event. In her first tournament where she was the top seed Sabalenka was up to the challenge. All week, she delivered, persevering in three sets against Tatjana Maria, winning in straights against Ekaterina Alexandrova and beating a depleted Maria Sharapova before doing in Wang and Riske on Sunday to win her 3rd WTA tour level title. Riske rolled through third seed Qiang Wang in straights, beat Evgeniya Rodina in three sets before steamrolling Sorana Cirstea in straights and beating a hobbled Vera Zvonareva to reach the final. Riske will climb back into the top 50, while Sabalenka inches closer to the top 10. The ATP season has once more arrived with a flash as three 250 level events on hard courts will kick off the Australian Open warm-up swing. It’s time for previews and predictions of the next editions of ATP starting with Brisbane. Troicki had 40 match wins and just 29 losses last season but the second half of his year was relatively disappointing given how good the first half was. He’s still in the top 25 however and needs to get his year off to a good start to keep his ranking up. Johnson made major strides in 2015, going a comparable 37-29 and getting himself nearly into the top 30. The American has built his game beyond a quality forehand and posted an ATP final and semifinal to end the season last year. This surface and venue suits his game well, and an upset win could lead to a dark horse run to start the season. Simon went the opposite direction of Dimitrov in 2015, and holds a 4-0 h2h edge against the Bulgarian, making him the favorite in this match. The defensive baseliner went 43-24 in 2015 and snuck himself into the top 15 at 31 years of age. Dimitrov, at 24, still has time to make good on his tremendous talent, but he was one of the biggest disappointments of 2015 going 32-22 and failing to break into the top 10. Now ranked 28 it’s harder for him to get good draws, and an early loss to a player of Simon’s quality could set him back even further given he’s defending a semifinal result last year here. The teenager Chung is already well on his way to being South Korea’s most accomplished male tennis player, as he’s nearly broken into the top 50 at just 19. After a strong 2015 on the challenger tour, and an even .500 campaign at the ATP level, this will be the first full time ATP year for the Korean, and he’ll need to win matches like this to maintain his ranking. Groth is the home favorite and his big serves suit the hard court surface, though he plays with such thin margins of error given he lacks an ATP caliber return game to compliment the massive serve he packs. He was below .500 at the ATP level in 2015, and I see Chung having made enough improvements in the off season to win this match. Roger Federer won last years edition of this tournament and given he’s still the world number 3 who went 63-11 against the world’s best competition last year, he should be able to cruise into, at least, the semifinals with limited stress. Federer’s first opponent will be either wild card Ben Mitchell, a home Aussie, who has never been ranked higher than 200 or won an ATP match (0-4), or qualifier Tobias Kamke, a former top 70 journeyman who is just 56-95 career at the ATP level. Mitchell likely has a slight edge as the home player but Fed should cruise regardless in his first match. The Simon/Dimitrov and Troicki/Johnson quarter is intriguing, any of the four players could make it through, with Simon being the favorite, and Johnson has a potential dark horse. Federer has won his last five meetings with Simon, and that should be his path to the semis. Marin Cilic went 35-19 with a shortened season last year and has a relatively easy path to what should be his first semifinal this season. Cilic will open with the Chung/Groth winner and could face the #8 seed Dominic Thiem in the quarterfinals, presuming the Austrian avoids being tripped up by wild card James Duckworth in round 1, and either Denis Kudla or wild card J.P. Smith in round 2. Thiem went 37-27 and broke into the top 20 last year but hard courts don’t suit him like clay does, and I wouldn’t put it past the quality ball striker Kudla to knock him off in round 2. Kudla is in the top 70 now and is looking for more ATP success after strong challenger results last year. Cilic over Thiem is my quarterfinal pick. given the surface. Kei Nishikori has made three consecutive semifinals in Brisbane and after a 54-16 2015, he looks to improve and get himself back into the top 5 this season. His counterpunching abilities should be more than enough to handle either Denis Istomin or Mikhail Kukushkin in his first match. Istomin is 2-1 against Kukushkin on hard courts and should have the slightest edge to advance in round 1. Nishikori is nearly certain to meet Bernard Tomic in the quarterfinals, as the Australian has an easy draw consisting of aging serve and volleyer Nicolas Mahut, and the Radek Stepanek/Dusan Lajovic winner. Tomic’s junkballing is likely to face serve and volleyers in his first two matches presuming Stepanek beats Lajovic, who much prefers clay. Stepanek had a rough year last year and was injured for part of it, still the veteran has the desire to compete left in him. Tomic went 40-27 last year, and tends to play well in Australia, but Nishikori should prove too stiff of a test in the quarters. The Japanese #1 has a 2-0 h2h and beat him in the Brisbane quarters last year. Milos Raonic went 33-15 in 2015, and had to deal with injuries, including back problems at the end of last season. The Manitoba Missile fell from the top 10, but he still has a powerful serve and a great hard court game when healthy. Raonic won’t be tested until the quarterfinals against most likely David Goffin, as a qualifier will be his first opponent, either veteran Ivan Dodig, or ATP main draw débutante Olivier Anderson, a 17 year old Aussie who beat veteran Tim Smyczek to qualify. Anderson seems to have a bright future ahead. Goffin had a great 2015, going a career best 38-25 and bursting into the top 20. The undersized ball striker posted consistent results and helped Belgium reach the Davis Cup final as well. To maintain his ranking he’ll need to beat players like his round 1 opponent Thomaz Bellucci, a streaky Brazilian, and the Yoshihito Nishioka/Lucas Pouille winner. Nishioka is on the rise, already earning an Aussie Open wild card, and the 20 year old Japanese was strong in qualifying. Pouille is a French talent who made an ATP breakthrough last year, but the speedy Nishioka should be able to handle his powerful forehand. Nishioka could knock off Goffin but I wouldn’t count on it. Goffin beat Raonic in Basel last fall, but given it’s outdoor hard courts, as long as Raonic can stay healthy he should serve well enough to reach the semis and face off with Nishikori. Given it’s the start of a new season there are multiple dark horse shots in this field, but Johnson could beat Troicki and Dimitrov/Simon, two quality wins, to reach the quarterfinals and face off with Federer, a result that would continue his improving results from last season. This surface and venue suits him well, and we’ll see what Stevie J can do. Federer is 4-1 on hard courts against Cilic and Nishikori has the same 4-1 mark against Raonic, though he lost to him in Brisbane last year. They should be close and quality semifinals, but the top two seeds are favorites. Federer has won the last three meetings against Nishikori, the gap between them isn’t considerable, but it’s still there, and the Swiss should take the Brisbane title. It has been a long off season, but a new year signals a new tennis season. Like the ATP world tour, the WTA calendar opens with a trio of tournaments. Along with the Hopman Cup, it is a feast of action for your tennis appetite. The traditional season opener in Brisbane has grown in stature over the years, upgrading from a International to Premier level in 2012. Previous champions include the likes of Victoria Azarenka, Kim Clijsters, Petra Kvitova, Maria Sharapova and two-time winner Serena Williams. Sharapova took the crown last season. A host of top 20 players lined up for the season opener looking to get their season off to the perfect start! This all Russian battle will gives us the perfect start to the new year as Sharapova kicks her campaign off against former top player Makarova. The world number three could not have asked for a much tougher draw here but she has a very positive head to head against her compatriot. Sharapova has won all six meetings including three in Australia and has only dropped a single set. Quite the contrast of styles here as one of the tours best counter punchers is pitted against one of the most unpredictable heavy hitters in the game. Kerber is a staple of consistency. She absorbs power better than most and runs down almost every single ball. The German has proven very difficult to hit through over the years but Giorgi brings a tremendous amount of power to the court. The Italian is the exact opposite of consistent but at her best she can blow almost anyone off the court and that is why this match is interesting. Kerber was the Premier queen of 2015, so can she continue her good form in these events? One of the most interesting players to watch over the next 12 months is Bencic. The 18 year old had a breakthrough top 15 season in 2015 so there is a question on whether she can build on that this year? Her opening match against Errani is an early test of any improvements she has made over off season. The Italian is consistent but she does not possess many weapons so Bencic will be allowed to play. We will get a small indication on where she is at in this match. First Quarter: Top seed Simona Halep will be cursing the fact she got the banana skin ‘Azarenka draw’. The world number two receives a BYE in round one and providing Victoria Azarenka beats her qualifier opponent, we will be in for the blockbuster round two match we are all anticipating. Azarenka leads the head to head 2-1 but Halep won their last meeting at the US Open last year. US Open finalist Roberta Vinci is the eighth seed here and she also has a difficult task in taking out former world number one Jelena Jankovic. Dominika Cibulkova has fond memories down under and will be looking to re-ignite her love affair with Australia when she faces Yania Wickmayer in the first round. The winner meets Vinci or Jankovic. Second Quarter: Defending champion Maria Sharapova arrives in Brisbane as the third seed after an injury troubled second half of 2015. The Russian is now healthy and looking to add to her five grand slam titles in 2016. Sharapova will meet compatriot Makarova in round one then move on to face the winner of Andrea Petkovic vs Teliana Pereira- the last direct acceptance. Bencic has also landed in this section and is very dangerous to the top seeds. The Swiss faces Errani in round one then Priscilla Hon or a qualifier in round two. It is fair to say that the winner of Bencic vs Errani should make the quarter finals. Bencic vs Sharapova could be a fascinating contest. Third quarter: Fourth seed Kerber won five Premier titles in 2015, can she add Brisbane to her collection? The German faces unpredictable but dangerous Giorgi in the first round which is a potential upset but providing she gets through that, Kerber should make the quarter finals. Madison Brengle or a qualifier will await the winner in round two. Timea Bacsinszky was one of the bigger success stories of 2015 having her best season after returning to the tour. The Swiss will now focus on improving further in 2016 and a perfect start will be victory over Anastasia Pavlyuchenkova. The winner will face the victor in the all French clash between Kristina Mladenovic and Alize Cornet. Fourth Quarter: Speaking of 2015 success stories, Garbine Muguruza was perhaps the most improved player of the year. The Spaniard is now amongst the elite and will be aiming for a grand slam title in 2016. Muguruza is fortunate enough to receive and opening round BYE and then she will meet Varvara Lepchenko or Anna Schmiedlova, both of which she should beat. There is a potential meeting between Muguruza and Carla Suarez Navarro providing they both make it through their quarters. Alja Tomljanovic will welcome the world number 13 to Brisbane with Sam Stosur possible for round two. Stosur maybe the best home crowd hope for an Australian winner of the tournament. I have gone for the defending champion to retain her Brisbane crown. Now she is back and healthy again, it will be difficult to stop Sharapova. The Russian defeats Muguruza in the final who makes it through despite not playing her best tennis. Posted in: ATP, Brisbane, Steen Kirby. Tagged: atp, ATP 250, ATP 250 Prediction, ATP 250 Preview, ATP 250 World Tour, ATP Brisbane, ATP World Tour, australia, Australian Open Series, Australian Tennis, bernard tomic, brisbane, Brisbane Australia, Brisbane International, Brisbane International presented by Suncorp, Brisbane Tennis, Emirates Australian Open Series, Grigor Dimitrov, Julien Benneteau, Jurgen Melzer, Kei Nishikori, Martin Klizan, men's tennis, Mens Tennis Prediction, Mens Tennis Preview, milos raonic, Prediction, preview, roger federer, Sam Groth, sam querrey, tennis, Tennis Prediction, Tennis Preview, Thanasi Kokkinakis. 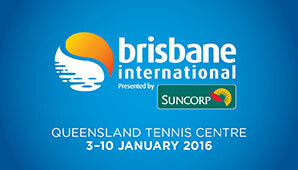 The first ATP event of 2015 will once again be the Brisbane 250 tournament on hard courts in Brisbane, Australia. The opening tournament of the Emirates Australian Open series features a strong field that includes 3 top 10 players. Here is a preview of all the action on the men’s side of the joint ATP/WTA event. Niall Clarke has a preview of the WTA side of the tournament coming up. All eight seeds are top 25 players, as Brisbane is a loaded 250 level event. Martin Klizan had a great 2014 season that saw him finish the year back in the top 40, the Slovak won an ATP title, and went 25-14 overall at the ATP level. He finished the year with a notable victory over Rafa Nadal to reach the semis in Beijing, and he also had a top 10 win over Kei Nishikori in 2014. The powerful ball striker will take on the declined veteran Melzer for the first time, Melzer fell out of the top 100 in 2014, and only reached one ATP semi, and one ATP quarterfinal all year. The former world number 8 is still a tactically wise lefty who is a tough out in matches, but at 33, this may well be his last season on tour if his results don’t pick up. Expect Klizan to advance as he is a player on the rise. The 27 year old Groth cemented himself as a top 100 player in 2014, and he will be defending quarterfinal points in Brisbane. Groth won a challenger title, reached a few challenger finals and an ATP semifinal in 2014, playing a mix of ATP and challenger level matches. He will take on a player who has always absorbed big serving pace well in the legendary counterpuncher Lleyton Hewitt, who remains in the ATP top 50 at almost 34 years of age. Hewitt is defending his Brisbane title this week, and he won two ATP titles in 2014, in route to a positive 20-16 record on tour. Hewitt and Groth have never played before, and we’ll see what kind of shape Hewitt is in to start the season, that said he usually get himself hyped to play on home soil, and he should be able to fend off Groth, perhaps in a pair of tiebreaks. Julien Benneteau remains in the hunt for an elusive first ATP title, as the French veteran, who at the age of 33 remains at a career high ranking of 25 will start off his season in Brisbane against the young gun Aussie wild card Kokkinakis. Benneteau went 26-24 in 2014 with one ATP final, a challenger title, and some great results at the Masters level including a semifinal appearance in Cincy and a pair of quarterfinals in Shanghai and Indian Wells. Kokkinakis currently sits at 150 in the world, and the 18 year old will be looking to have a breakthrough season, much like his countryman Nick Kyrgios had in 2014. Kokkinakis primarily played on the challenger tour last year, but did win a couple of ATP main draw matches and his lanky game is clearly improving onto what should be bigger and better stages in 2015. Benneteau will be favored but I’d give Kokkinakis a really good chance to grab a win over a veteran ATP competitor on home soil. Bernard Tomic enters 2015 claiming to have a renewed focus and commitment to his tennis as he seeks to reach his potential after years of underachieving. He’s still just 22 and has time to make his move into the tennis elite. He won an ATP title last year, along with reaching a final and a semifinal in route to a 17-15 record at the ATP level. He will face the American Querrey who he has beaten twice before, once on grass in 2013, and once on hard courts in 2012. Querrey returned to the top 40 after a solid 2014 that saw finish 28-21 at the ATP level. Sam found success on the challenger circuit, winning 3 consecutive ATP challenger titles, and that in particular seemed to improve his confidence last season. Now back at the ATP level on a full time basis in 2015, the competition will be stiffer and he will need to win matches like this one against Tomic to maintain, and perhaps improve upon his current ranking. This is a toss-up match for me between a pair of players who can play great tennis, or totally fall apart, depending on their emotions. Last year’s finalist Roger Federer will be seeking to claim yet another ATP title to add to his illustrious resume, the 33 year old Swiss will be mounting a renewed challenge for the number one ranking in 2015 after winning 5 titles and going an incredible 73-12 last season. Federer will open his 2015 campaign against a qualifier or Aussie wildcard John Millman, who is more talented than his current ranking of 156 would suggest. That said, I fully expect to see a Federer vs. Gilles Simon quarterfinal matchup. Simon will open with Aussie wild card James Duckworth who he has a 1-0 h2h record with. After the challenger level Duckworth, Simon should face the quick Finnish veteran Jarkko Nieminen who has a history of playing well in Australia. Nieminen opens with a qualifier, and is 2-3 in his career against Simon. Simon had an inconsistent 2014, but he had some good results at the end of last season (Shanghai final, Tokyo semis) and is most likely to reach the quarterfinals in this section. Barring a monumental upset, Federer should defeat Simon for the fifth time in a row and reach the semifinals. Last year Federer dispatched Simon in a pair of tiebreaks in the Shanghai final. Former Brisbane finalist Grigor Dimitrov is looking to cement himself in the top 10 in 2015. Dimitrov will open with Jeremy Chardy or Andrey Golubev for the opening match of his season. Chardy, who has the game to score big wins from time to time, may give Dimitrov a test, but the Bulgarian should make the quarterfinals to face off with most likely either Klizan or 7 seed Alex Dolgopolov. Dolgopolov is a former Brisbane finalist, and he opens with Carlos Berlocq who is more comfortable on clay. Dolgo had a solid 2014 until he suffered a knee injury, and we’ll see what sort of physical shape he is in for the first part of 2015. Klizan vs. Dolgo looks to be a great second round matchup, and I could see either one reaching the quarterfinals. That said, Klizan was more consistent late in 2014, and I’m going with him over a talented but erratic Dolgo who wasn’t the same in 2014 since injuring his knee. Look for Klizan (or Dolgo) to test Dimitrov as well but Dimitrov should prevail and reach the semis, he’s 2-1 in his career against Dolgo including a win at Wimbledon last year, he has never played Klizan. Kei Nishikori has reached the semis for two straight years in Brisbane and he reached the top 5 for the first time in his career last season. He won 4 ATP titles last year, and reached a Masters and a slam final, both for the first time in his career. He will open against Aussie Marinko Matosevic, or American Steve Johnson. He beat Johnson once last year on grass, and beat Matosevic three times last year, to extend his h2h record against him to 5-0 in his career. I expect a healthy and motivated Nishikori to get himself to the quarters, and then take out one of Benneteau/Kokkinakis/Tomic/Querrey in the quarters. All of those opponents would be challenging, in a stacked section of the draw but Nishikori should handle any of them, I favor Tomic to get through to the quarterfinals on home soil, given he tends to play his best in January during the AO series. Milos Raonic cemented himself as a top 10 player in 2014 by playing consistent, reliable tennis. He only won one title, but he reached two finals, including a Masters final and reached the quarterfinals or better in all but one Masters 1000 level event. The Canadian number one will open with a qualifier or Mikhail Kukushkin, and after that is likely to face either Hewitt, or 5 seed Kevin Anderson, with Groth, or a qualifier also options. Anderson and Hewitt have split h2h meetings, but Anderson won the most recent one last season, he plays a similar gamestyle to Groth, but his is more well rounded and developed. It’s hard to go against Hewitt in Australia, but I’m favoring a Raonic vs. Anderson quarterfinal with Raonic advancing. Both guys player a similar serve and forehand heavy style, but Raonic does it better so he should get himself through to the semis. There are other dark horse options like Tomic, Hewitt, Simon, and Johnson but if anyone is going to prevent the semifinals from featuring all seeded players it is most likely to be Klizan, who has shown the ability to win big matches and has the game to trouble Dimitrov if he can get past Melzer and Dolgo. A semifinal to open the season would be a big boost for Klizan. Federer has won both h2h meetings, last season and the year before, indoors in Basel, against Dimitrov, and he has done so without dropping a set. Though Dimitrov is improving, they play similar tennis and Federer does it at a normally superior level, so barring a shock, Fed should advance to the final. Nishikori and Raonic have a budding rivalry at this point, they met four times last year, with Nishikori going 3-1 in those meetings, including two great matches in the Tokyo final and US Open round of 16. Raonic is a good player but Nishikori returns well enough, along with being able to generate enough power to stay on the court with the Canadian and he seems to have the matchup edge, thus I expect to see him in the final. Federer is 3-2 overall against Nishikori and comfortably defeated him in their last two meetings, including at the World Tour Finals. That said, Nishikori won the only outdoor hard court meeting in Miami, and I’m going with a judgment call favoring the younger Nishikori to pull this off and show he’s going to be challenging for big four status in 2015. The Brisbane final is likely to be excellent given the strength of the field and the relative balance of the draw.